'Tehelka' magazine had "exposed" alleged corruption in defence deals during Atal Bihari Vajpayee-led NDA government which later resulted in the resignation of then defence minister George Fernandes. 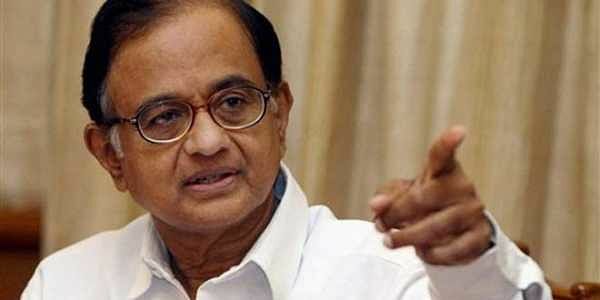 NEW DELHI: Former Finance Minister P Chidambaram today suggested that the media ask the government for release of his reply to Congress chief Sonia Gandhi, who had reportedly asked him to look into the allegations of harassment of private firm First Global, the financiers of 'Tehelka'. 'Tehelka' magazine had "exposed" alleged corruption in defence deals during the Atal Bihari Vajpayee-led NDA government which later resulted in the resignation of then defence minister George Fernandes. The then BJP president, Bangaru Laxman, who was caught on camera taking money, was convicted later. Following the expose, a number of cases were registered against promoters of First Global, Devina Mehra and Shankar Sharma, by various investigation agencies. When the UPA government assumed office in 2004, Mehra and Sharma wrote a letter to Gandhi, who was the chairperson of the National Advisory Council with the rank of a Union Minister, alleging that persecution by the agencies was continuing even then and sought redressal. Appending First Global's letter, Gandhi on her official letterhead wrote to Chidambaram asking him to look into the issue on "priority" in order to ensure that "no unfair and unjust" treatment is meted out in the case. Reacting to media reports on the matter, Chidambaram in a statement said he had been shown a copy of the letter written by Gandhi. "My noting on the letter is correct. I am certain that, on behalf of the (Finance) Ministry, I would have sent a reply based on the material put up to me. The letter of Mrs Gandhi and my reply should be read together. "I suggest that the media may ask the government to release the reply to the letter," he said.